Home home Weight loss Activities to burn calories fast and loss weight in 2 weeks. Activities to burn calories fast and loss weight in 2 weeks. Burn calories fast and loss weight in 2 weeks. There are many ways to burn your calories but today I will tell you the most common and fast calories burning activities. Walking is most common activity you can walk at your free time to burn your calories. You can walk every where you want. I think walking is the most easy way to burn your calories. If you walk 1 hour you can burn your calories between 300 to 400. If you eat less calories and burn your more calories then definitely you can lose weight. The second activity you can do is running you can run to burn your calories fast as compaired to walking running can burn your calories more then walking. You can go to jogging at morning or evening. If you run 1 hour you can burn your 600 calories just in one hour it is really help full to lose weight by running. Cycling is the other activity to burn your calories these days every one love cycling and if you want to cycling then do it it is the best way to burn calories. 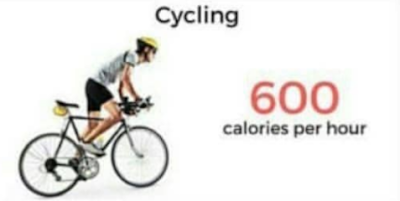 Cycling will burn 600 to 700 calories in one hour and I think if someone love cycling then he or she can do for many hour. That it do it to loss your weight.